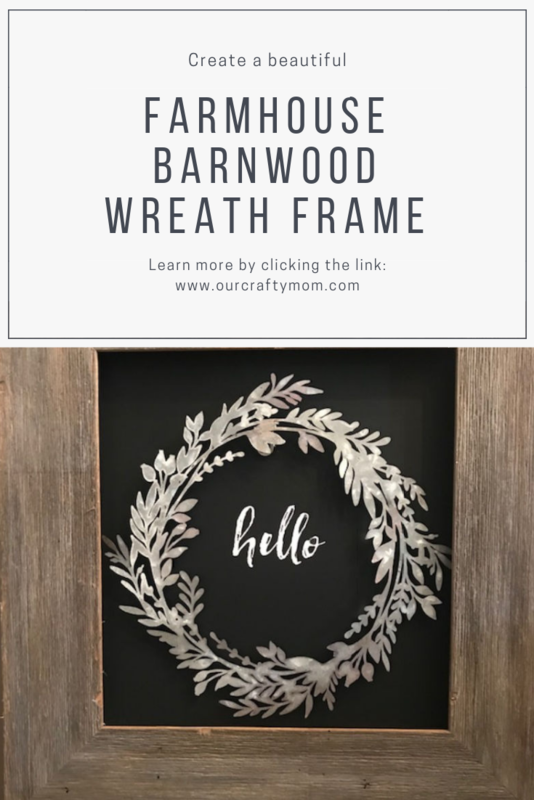 Today I’m sharing a Farmhouse Barnwood Picture Frame With Metal Wreath for the January Pinterest Challenge. 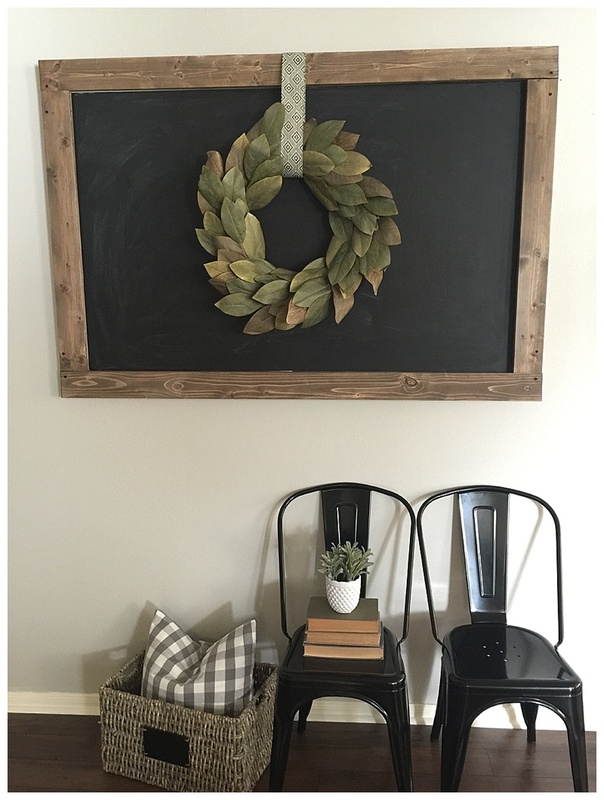 Stop by to see what I used for the “chalkboard” art. 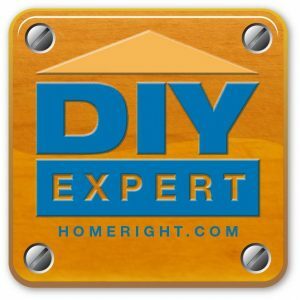 This post is sponsored by Decocrated and contains affiliate links at no extra cost to you. However, all opinions are 100% mine. Please see my full disclosure here. 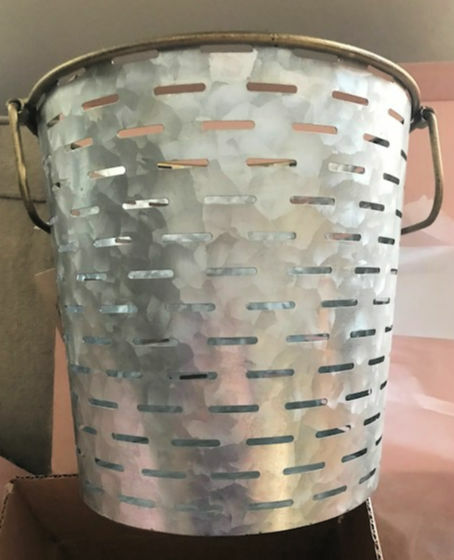 Can you believe it was only $7.49? 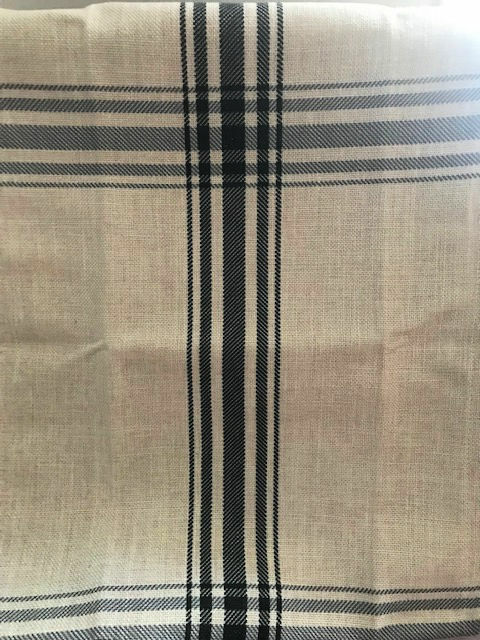 Plus it is a large size of 18″ x 18″, which really makes a statement. 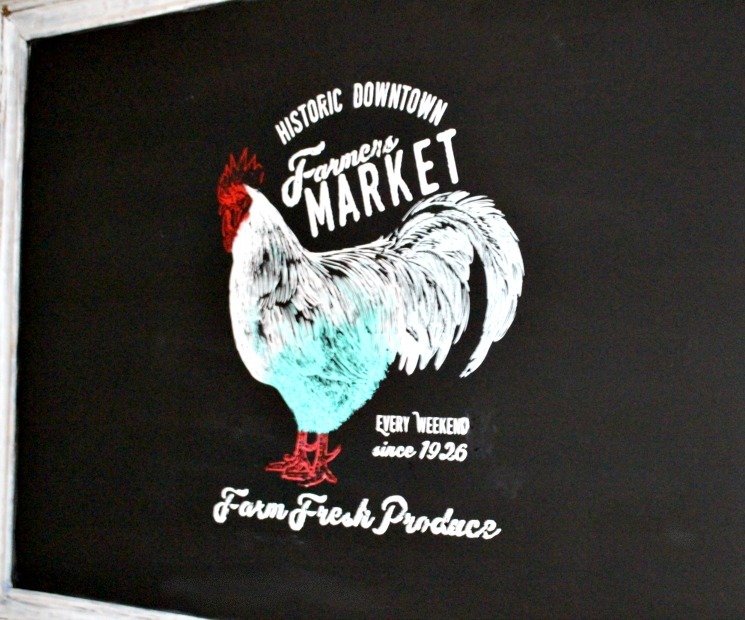 Now I needed to come up with some way to make a chalkboard to fit in the frame. 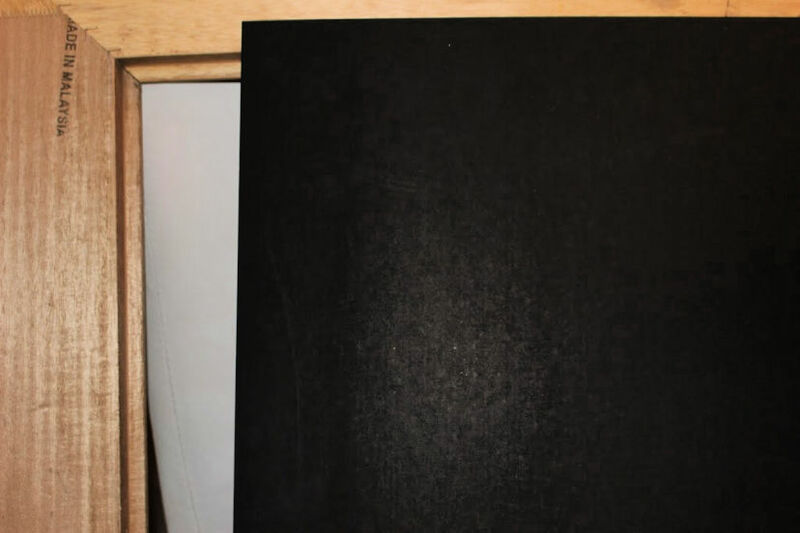 I had planned to buy chalkboard vinyl, but when I was in the picture frame section, I saw they were selling frame backings. They had a black backing that actually looked like chalkboard for just a few dollars. It was secured with a few staples to the wood. Next up, I thought about making an embroidery hoop wreath to attach to this art, but then inspiration struck! The Spring Box will be coming out soon and I can’t wait to see what will be in it! To attach the metal wreath to the frame, I just used a thumb tack. 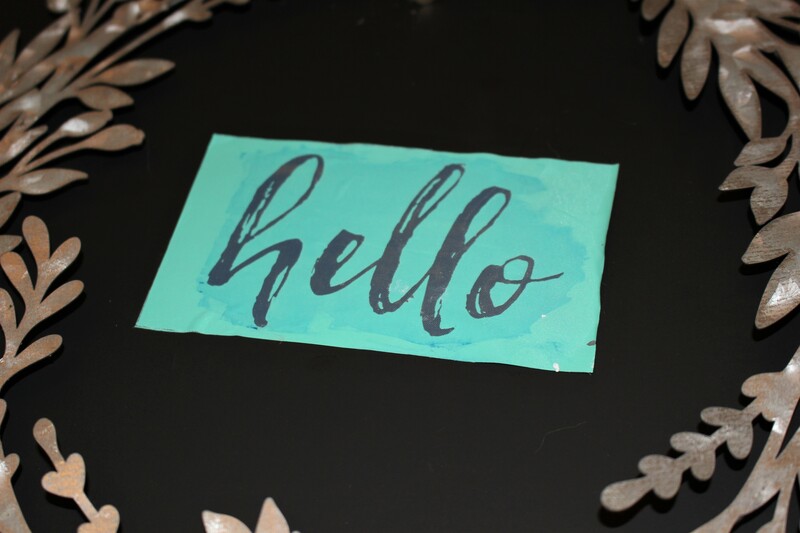 To finish it off, I used Chalk Couture to add the hello greeting. 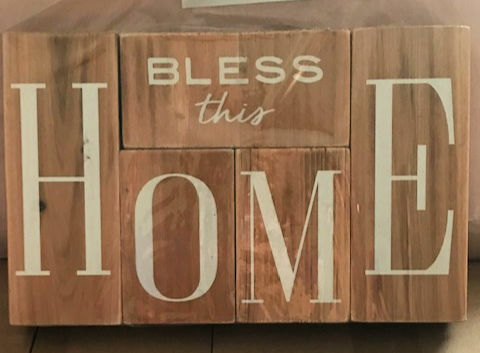 I hung it in the entryway of my living room, so it greets friends and family as they enter. 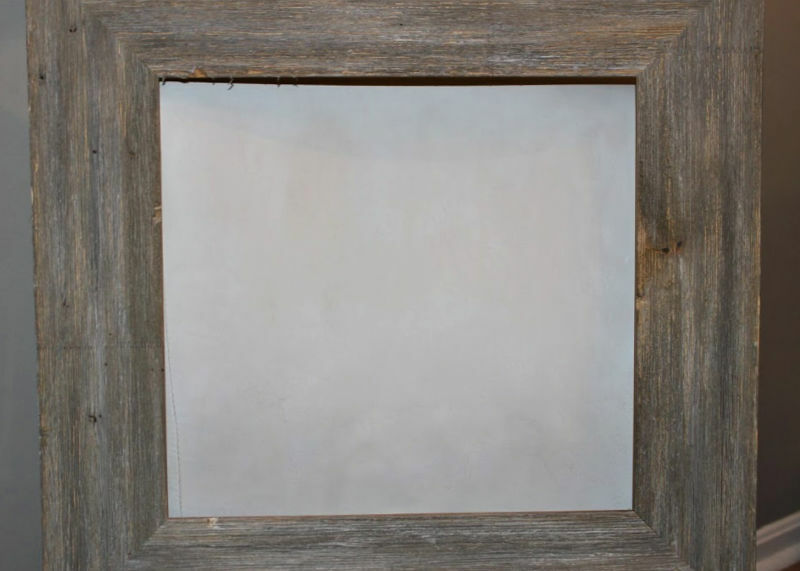 I hope you liked this barnwood frame and will visit some of the other bloggers linked below. Enjoy! 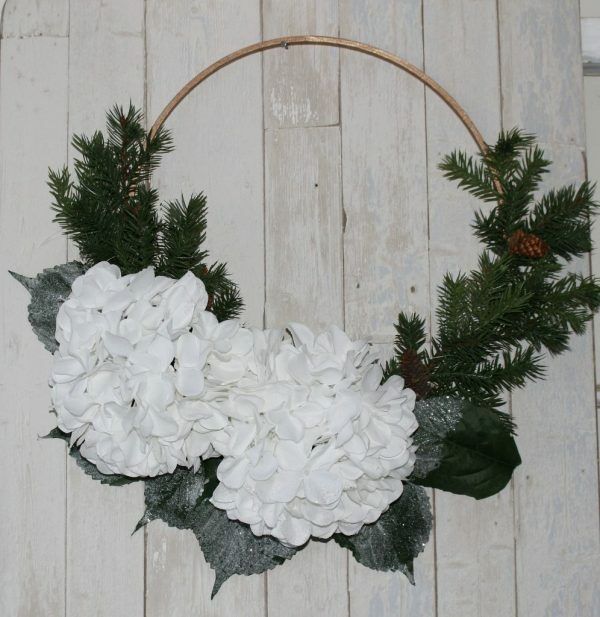 I love the galvanized wreath! What an amazing piece. 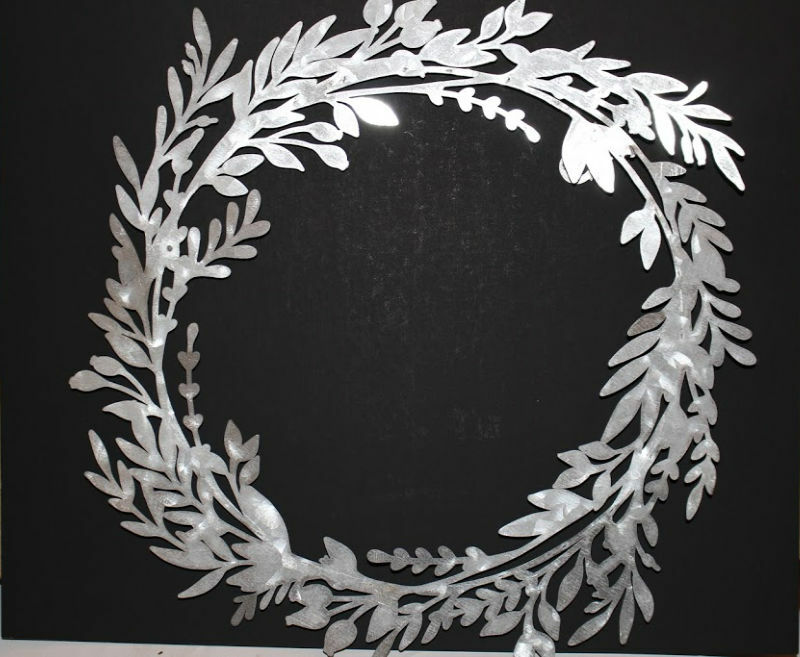 Just love the metal wreath…so different. What a find with the wood frame. Need to remember to always visit the clearance section when I do hit the craft stores. Am pinning this one for sure! 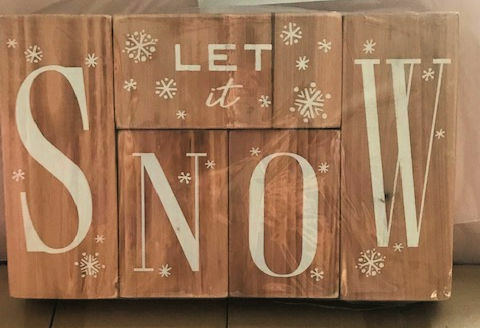 What a great find at Hobby Lobby! You can find the best stuff marked down there. 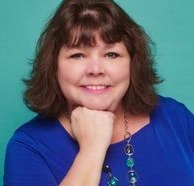 Your picture frame is beautiful and that decorating box is awesome. What wonderful surprises inside. That is simply stunning! What a great deal on the frame too!! Pinned. That turned out beautiful! 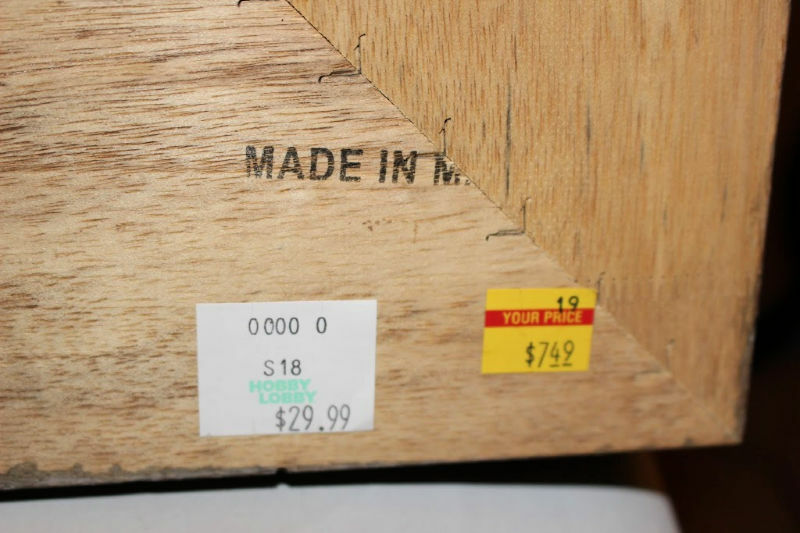 And I love the price on the frame!! 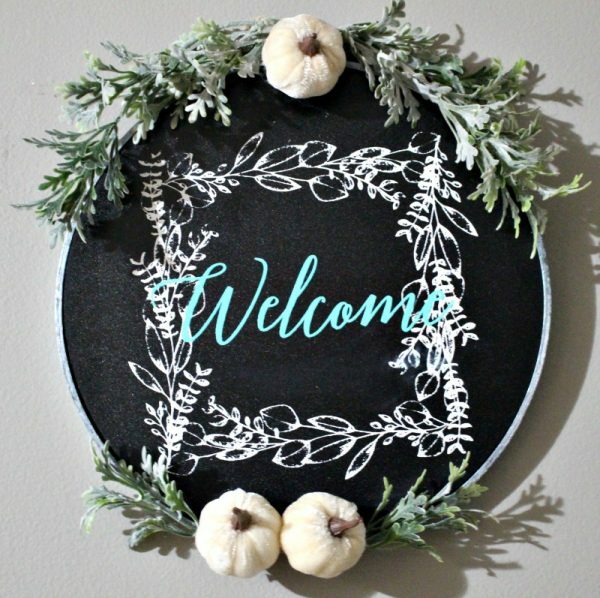 What a great deal on that frame and it looks like it was made for that wreath! I love how you put it all together. 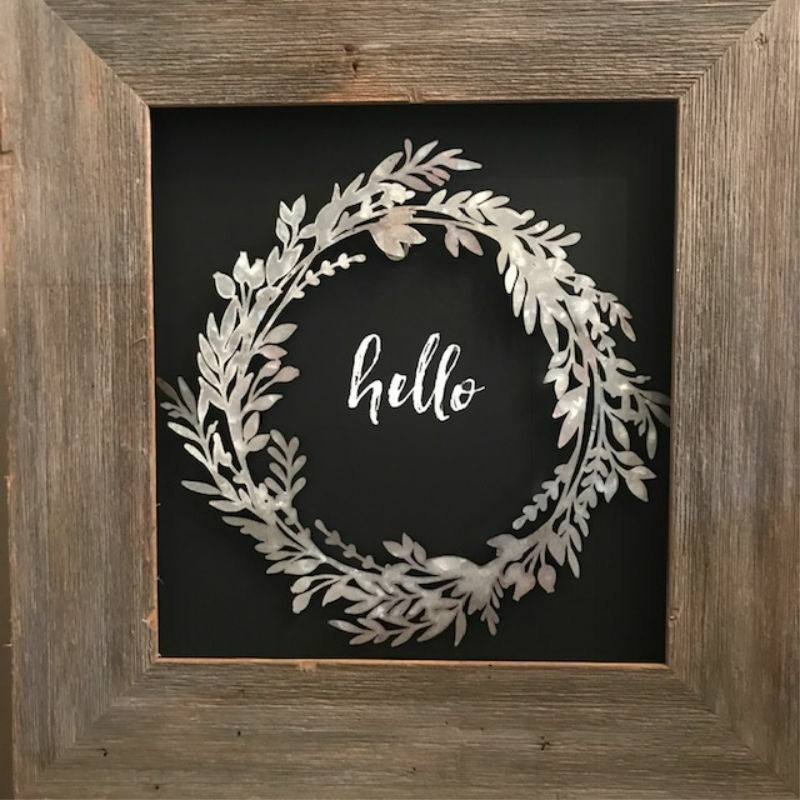 The galvanized wreath is so nice along with the frame. Perfect combination! Ooo, it’s lovely. The metal against the chalk board looks fab. That subscription box sounds wonderful. 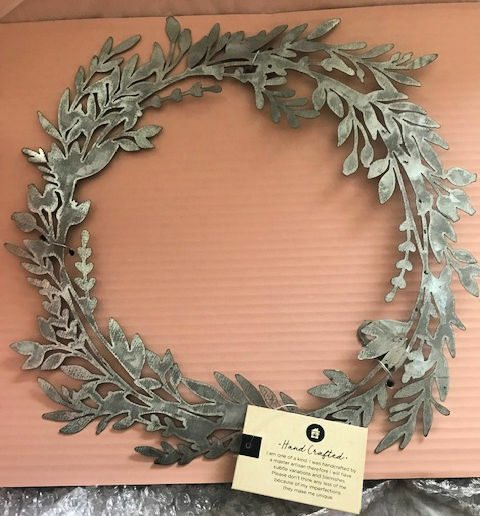 You got a great deal on the frame and I am enchanted by that galvanized wreath! Your project turned out great! Thanks so much Lydia! I was so psyched when I saw that frame! You got such a great deal on the frame! Isn’t it great when you find just the right piece and everything comes together?! Michelle, that turned out lovely. 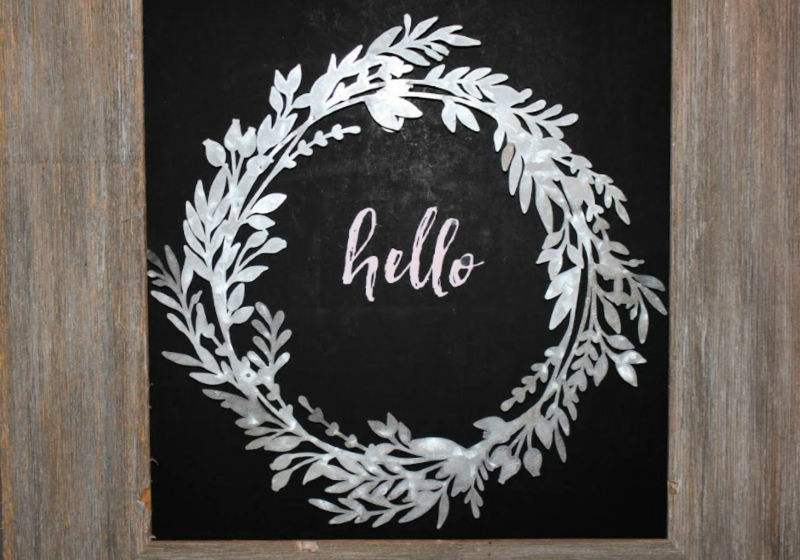 You really have an eye for wonderful wreaths and chalk board creations! I always enjoy finding inspiration on your blog. That metal wreath is so cool!